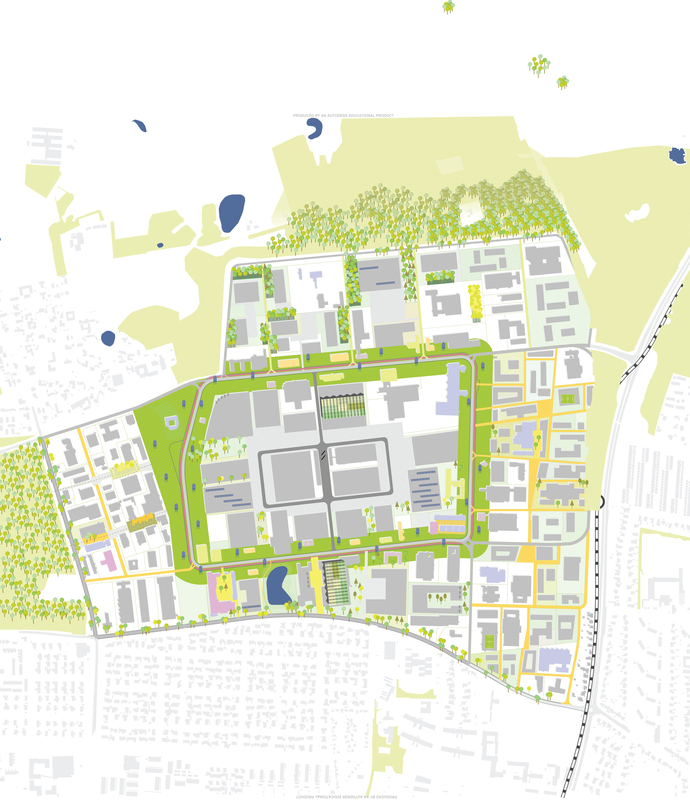 The industrial site Hersted in Albertslund, Denmark, was in need of a transformation. 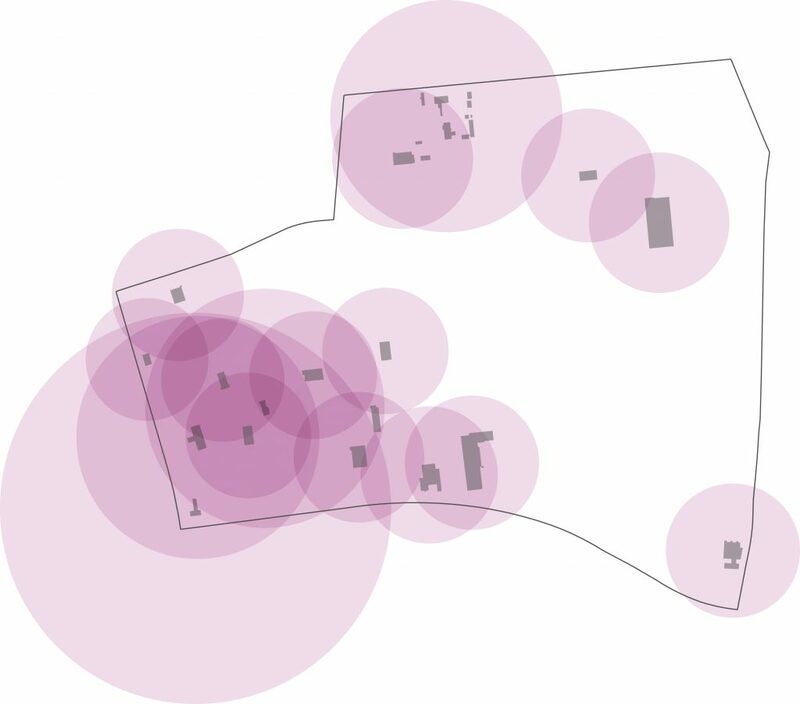 Bureau B+B researched to find a sustainable spatial solution which resulted in a multifaceted strategy other than a fixed urban plan. It emerged as an economical strategy, an organizational strategy, an ecological strategy and a spatial strategy. 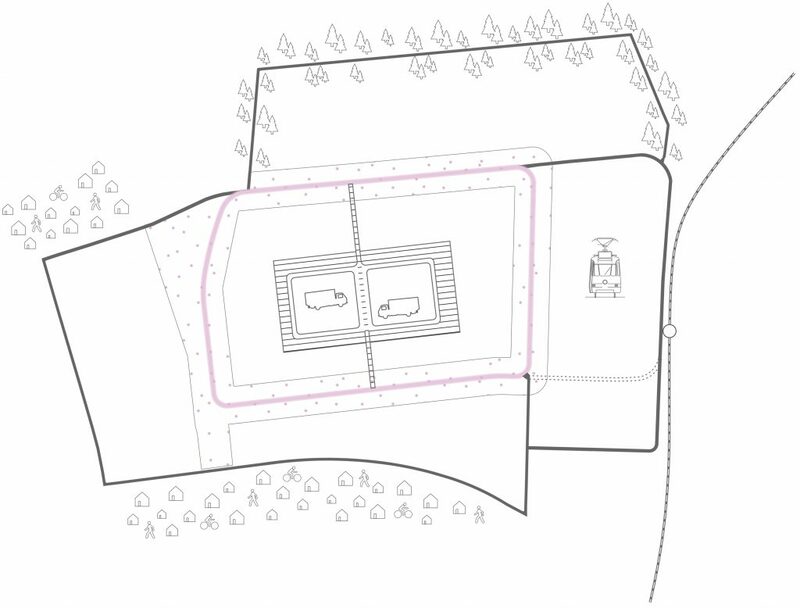 The strategies define the directions in which the development of the site should aim for and sets the transformation guidelines. An element of the transformation of the area Hersted will be promoted and branded as the center for the Copenhagen Local Food System. and will continue to be used for the production of food for Copenhagen. 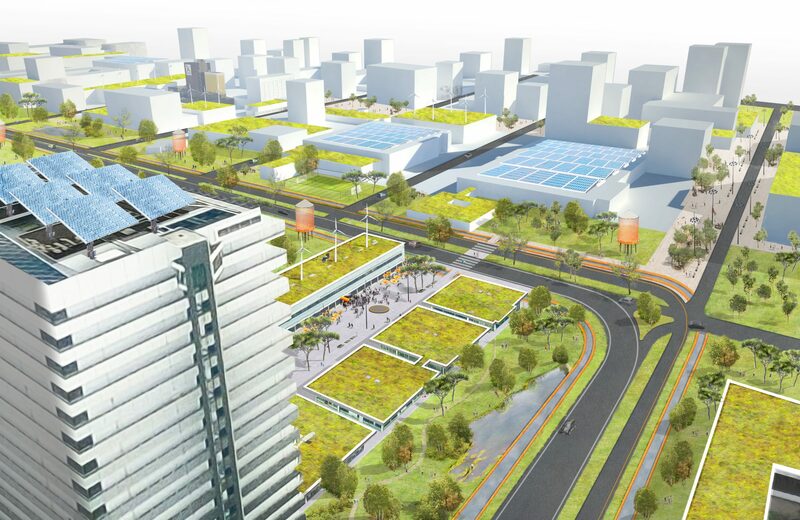 It will not function as a farmland, but as a highly innovative and sustainable Food Park that will attract business and jobs of regional and global importance. • Apply a hierarchy to the infrastructure. • Fade the boundaries of the entire area with the surrounding neighborhoods. • Create a greater diversity between subareas. • Preserve the scale as a contrast to the surrounding residential neighborhoods. 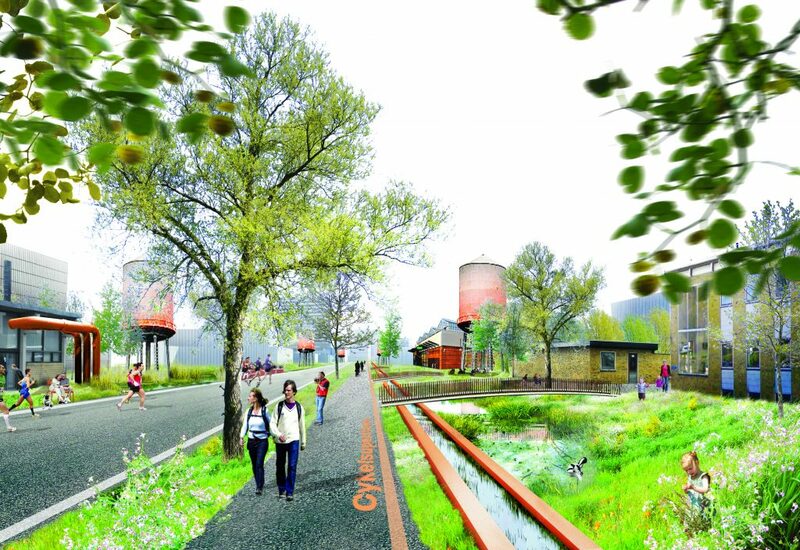 • Add defined spatial and outspoken public spaces. Adding more defined spatial and outspoken public spaces.